What a week…. The accreditation evaluation team’s visit has concluded. We will not know the final result of their report until later in January 2019, where you will, of course, hear the results immediately on my weekly blog. The evaluators were on our campus for four days and left on Thursday. I decided to relax a little and headed to campus Friday evening to watch Renegade Volleyball and what a match it was. BC (ranked 8) beat El Camino (ranked 3) in a fast paced tough 3-game win. It was a fabulous evening and I loved seeing our faculty, staff and even a trustee come out to support our students. Enjoy these pictures from the evening. Coach Vayron Martinez had his soccer players out supporting the Volleyball team. Coach Casey Goodman had her softball team out to support the Volleyball team. Here is Coach Goodman with us. It was an amazing game and we walked up to congratulate Coach Carl Ferreira. Loved seeing the Athletics department supporting our students. Here is Stig… and then I snapped with selfie with Keith Ford and brandon Urry. Lilly Agbalog captured with 5-second video of the soccer team cheering a point scored by BC. Our visiting team included a diverse group of colleagues from around the state of California led by the Accreditation Team Chair, Dr. Kathleen Burke, Chancellor, South Orange County Community College District (SOCCCD). Dr. Kathleen F. Burke was named chancellor of SOCCCD on April 30, 2018, a District that serves over 42,000 students and currently offers 409 degrees and certificates. There are 390 full-time faculty, 1200 adjunct faculty, over 1760 classified staff, 101 classified managers, and 40 administrators. Prior to her current position, Dr. Burke served as the president of Los Angeles Pierce College for eight years. The Team Assistant, Ms. Sheri Berger has served as the Vice President of Academic Affairs at Los Angeles Pierce College for four years and also serves as the College’s Accreditation Liaison Officer. Prior to becoming Vice President, she was a Dean of Academic Affairs at Los Angeles Valley College supervising the Natural and Social Sciences. Sheri has worked in higher education for 28 years with 22 at the Community College Level. She holds her bachelor’s and master’s degrees in Mathematics from California State University, Northridge. The team included three academic representatives including Ms. Cheryl Bailey who is an instruction librarian and chair of the library at Irvine Valley College (IVC) in Irvine, CA. As a faculty member at IVC, Cheryl has served as the Academic Senate Recorder, the Online Education Co-Chair, and as the Student Learning Outcomes coordinator. Cheryl has a bachelor’s and master’s degree in Art History from California State University, Long Beach and a master’s in Library and Information Science from San Jose State University. Mr. Michael Fino is the Dean of Mathematics and Sciences at Mira Costa College in Oceanside, CA. Mike has leadership responsibilities for six academic departments, four academic support centers, and online learning. Mike serves as the Co-Principal Investigator on a National Science Foundation Advanced Technology Education grant to promote the development of biomanufacturing educational infrastructure. He has authored a first-of-its-kind Bachelor of Science in biomanufacturing and has had governance leadership roles in program review, student success, basic skills, accreditation, and as president of the Academic Senate. Mike holds degrees in bioengineering (BS, MEng) from the University of California, San Diego and is currently in a doctoral program in community college leadership at San Diego State University. Ms. Elizabeth Romero is a Child Development faculty member and Academic Senate President at Clovis Community College (CCC). She is in her fifth year as the Senate president and has been teaching Child Development for the past 13 years. She has recent accreditation experience at CCC. The College received initial accreditation in 2015 and then immediately went into re-accreditation to align their cycle with other colleges in the district. Liz loves the accreditation process; it helps to identify areas for growth, which in turn creates better opportunities for students. The team also includes five administrative representatives including Dr. Duncan Sutton, the Director of Institutional Effectiveness and Strategic Planning at The Salvation Army College for Officer Training. He is responsible for all accreditation-related efforts and serves as the College’s Accreditation Liaison Officer and Student Learning Outcomes coordinator. In addition to his 7 years of Institutional Effectiveness/Research experience, Duncan has 14 years of faculty experience and almost 25 years broader experience as a music educator, performer, and conductor. With his undergraduate studies in music education occurring in England, Duncan continued his education after moving to the U.S., earning his MA and Ed.D from Long Beach State. Mr. Ken Stoppenbrink is the Deputy Chancellor at West Hills Community College District (WHCCD). In his over 30 years of experience, Mr. Stoppenbrink has overseen all areas of human resources and the business office as well as participated in negotiations for collective bargaining agreements. He is responsible for reporting on the financial status of the District to the Board of Trustees. Additionally, he has been involved in bond projects as well as tax credit deals, which bring in revenue to the District. Ken holds a Master of Business Administration from the University of Phoenix, a Bachelor of Science in Business Administration from Chico State University, and an Associate in Arts in Business from Shasta Junior College. Mr. Dale van Dam is currently the Vice President of Instruction and the Accreditation Liaison Officer (ALO) at Reedley College in Reedley, California. Prior to his current position, he served as Dean of Instruction at the El Dorado and Rancho Cordova Centers of Folsom Lake College for 11 years. In that position he had oversight for transfer programs, CTE programs, and student services offices. Van Dam holds a master’s degree in Geology from the University of Utah and taught Earth Science, Geography and Geology at American River College for 10 years, where he helped create a Geographic Information Systems degree and certificate program. He has also taught at Yuba College, Sierra College and California State University, Sacramento. In addition, he has served as a partner/owner of several environmental consulting firms in the Sacramento region since 1987. Dr. Lisa Cooper Wilkins is the Assistant Superintendent/Vice President for Student Services at San Joaquin Delta College (SJDC). She has administrative oversight for Enrollment Services and Student Development, Counseling and Special Services, Police Services, CalWORKs, and the Hazel Hill Child Development Center. She joined the District in 2014 as the Dean of Enrollment Services and Student Development. Lisa has spent her career in roles that foster access, equity, inclusion and opportunity for underrepresented and underserved students. Dr. Cooper Wilkins completed her doctoral studies at the George Washington University in Higher Education Administration Program. She possesses a Master of Arts in Psychological Services and a Post-Master’s Certificate in Counseling from Marymount University, a Master of Science in Counseling and Human Relations from Villanova University, and a Bachelor of Arts in History and International Relations from Goucher College. Dr. Mandy Liang is a passionate educator and leader with 12 years of professional and leadership experience in both instruction and student services at multiple California Community Colleges. Dr. Liang’s dedication and commitment to promoting student success and equity in higher education is rooted in her personal experience as an immigrant and first-generation college student. Currently, she is the Associate Dean of Matriculation and Assessment at City College of San Francisco (CCSF). Previously, she served two consecutive terms as the Academic Senate President and Accreditation Faculty Co-Chair. Prior to her Senate Presidency, she worked as the Student Services Student Learning Outcomes (SLO) Coordinator. She serves on a number of statewide committees, and she is involved in a number of Institutional Effectiveness Partnership Initiatives (IEPI). 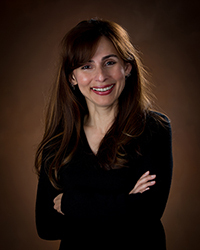 She is the Vice President of the California Community College Assessment Association (CCCAA). Bakersfield College’s Rural Initiatives team was honored to kick off the week for some of the visiting team. The team learned a little bit about the history of Delano and Bakersfield College on the drive to Delano from their driver, history professor, Dr. Oliver Rosales. Upon arrival, they were greeted by the team with delicious pastries from the famous Fil-Bake Shop, as well as sweet grapes from local fields. After a tour and several interview sessions, the panel got to hear about Bakersfield College’s connections to rural communities from a large group of community partners representing K-12 schools, government, non-profit, and private agencies throughout North Kern. A big thank you to all involved and especially those that helped prepare for the event: Carolina Madrigal, Endee Grijalva, Raquel Lopez, Juan Torres, Jaime Lopez, Gustavo Enriquez, Lily Pimentel-Stratton, Monica Huyck, Matthew Rodriguez, Helen Calip, Oliver Rosales. Thank you to main campus team members who made the drive to Delano to help out: Tarina Perry, Steven Holmes, Victor Diaz, Liz Rozell, Bill Potter, and Chris McCraw. They then arrived at the Panorama campus for a meet and greet with members of College Council, Academic Senate, FCDC, and Admin Council and for a tour of our campus which they would call “home away from home” for a few days. Over the course of the week, the team conducted over 175 interviews, examined over 750 pieces of evidence, and grew to know the Home of the Renegades like no other. The BC Spirit was strong and bright, including at the Open Forums where students, staff, faculty, administrators, and community members should share with the evaluating team how BC has impacted their lives and what BC means to this community. The entire week, our community waited in anticipation for the Exit Interview scheduled on Thursday morning. During her remarks, Evaluator Kathleen Burke had effusive praise for every facet of our institution – from our inspirational instructors, counselors, advisors, and academic support staff, to our innovative leadership and shared governance structure. She recounted some of the dozens of stories that the accreditation team heard from current and former BC students, as well as industry leaders throughout the community, who thanked BC for enabling individuals throughout Kern County to reach their highest potential. Burke thanked the logistics team who coordinated their visit for being endlessly accommodating to the evaluators, highlighting the Food Services Department, Renegade Room and Technology Support Services for being attentive to their needs. The team even led us in a “We Are BC” chant. “Short of becoming employees, we would like to be adopted as honorary Renegades,” Burke said. Upon the conclusion of their positive report, the audience in Fireside erupted in an explosive standing ovation. Stephanie Stuart and the Food Services team provided some appetizing refreshments, and we all took the opportunity to celebrate this momentous occasion, which wouldn’t have been possible without every single member of the campus community going above and beyond what is expected of them and working together for the common goal of providing the best education possible for our students. Once everybody got settled, I took the opportunity to thank a few folks who made the accreditation visit a tremendous success, including ISER editors Nick Strobel, Sondra Keckley and Sarah Baron; Liz Rozell, Jason Stratton and Jessica Wojtysiak of the Accreditation Committee; accreditation team leads Todd Coston and Lesley Bonds; as well as Tarina Perry and Chris Glaser, who helped coordinate logistics for the site visit. Trustee Bill Thomas was on hand to give a few remarks in support of BC’s committed faculty, staff, and students. Bakersfield College’s people bring together their minds of critical thinking and analysis and their hearts passionate about educating our students and ourselves, to dialogue and explore our humanity within a structure that has been intentionally-designed to enable that dialogue and exploration to flourish in a safe, inviting environment. I knew that the ISER Editor job was going to take a lot more time than the release time I was offered but I decided to submit my application because 1) I thought I should try a writing project like this once in my career; and 2) I feel that Bakersfield College is a special place filled with special people doing work that is absolutely vital to the future of our society. Both of our all-campus forums for the accreditation visiting team were packed with people passionate about BC. Over and over again we heard from students, staff, faculty, administration, and community members about how BC has transformed their lives and lives of people in their families, how BC gave them a second chance to start over or the first chance in their life to build or create something great, and how BC supported them to grow beyond what their previous life experience had taught them was possible. Yesterday morning I read an essay by Anne Lamont in the latest issue of National Geographic. It is an essay about hope. One passage in particular struck me as describing why the people who come to BC for a job and stay for many years—people like me—why we do that. Lamont writes, “We take action—soup kitchens, creek restoration, mentoring—and then the insight follows: that by showing up with hope to help others, I’m guaranteed that hope is present. Then my own hope increases. By creating hope for others, I end up awash in the stuff.” We bring hope in a better tomorrow and boy, don’t we need hope in today’s world? We need hope, want hope, we get hope here. That’s why we stay. As I stand here today, there are a multitude of impressions, feelings and thoughts swirling through me….I am sure I am not alone. Today we have the beginning of closure on Accreditation 2018, although the true finale won’t be until January. As we all worked together to develop our ISER and do all we could to reveal the quality that BC exudes, I was very impressed by the individual and collective efforts involved. We had an ISER with which Visiting Team member Dale van Dam indicated he was VERY impressed. He especially called out the ‘one voice’ evident throughout. And then, there was the actual visit- and the work all people on campus have done in preparing for it, organizing it, coordinating it, supporting it, and participating in the interviews. From my involvement in this process, I can say I was duly impressed, but not surprised. This quality is who we are, and that shows throughout all of this process. What that means to me is that every small action from all of us contributed to make BC a great institution, which became apparent in our ISER and to the visiting team this week. It has been my privilege to be engaged in this process as the Faculty Co-Lead on the ISER. I am incredibly grateful for this opportunity, as it allowed me to truly see the myriad small deeds being performed that continually led to innovation and improvement- which was documented in our ISER. Paraphrasing Oliver Wendell Holmes, we have now crossed the finish line and it is time to do a cool down lap, as we begin to excitedly share our experiences and express our relief that the race is run. That this is an end, but that it is also a beginning, and a becoming. What matters at that point is what you do with it. It doesn’t matter what it ‘is’, but what it ‘becomes’- as life is about becoming. a constant work in progress [sorry strategic directions], without the Sisyphean overtones. How do we take our experiences and observations, and use this knowledge to become better? Liz Rozell said that the accreditation process has transformed Bakersfield College forever, and those who participated in it will remember it for years to come. “Accreditation is part of who we are, and it’s going to always be a part of our blood,” Rozell said. See all the photos on BC’s Smugmug of the 2018 Accreditation Visit and the Post-Report Celebration. This past Saturday, MESA students volunteered to conduct an activity with South High MSQ3 program to promote Science and Engineering to high school students. The activity involved a water rocket activity, and it was intended for the student to understand engineering, chemistry and physics concepts along with teamwork and presentation experience. We had 11 MESA student volunteer their Saturday morning to 43 South High MSQ3 students. The MESA program and its MESA students are great, not only our MESA students are taking difficult STEM courses that required demanding time, but they also make time to volunteer and give back to the community. MESA students Rock! If you missed watching the Renegade Report live this last Thursday at 11am, check out the segments from this week’s show from the links below. This week we highlighted our Student Athlete Advisory Committee (SAAC) and their efforts to reach out and give back to our local community. Be sure to head to Bakersfield.com at 11am each week to watch the show live. Congrats to this week’s (9/23-9/29) Wells Fargo Renegades of the Week! Penelope Zepeda, Volleyball – Helped team to two wins for the week; Recorded 9 kills, .294 hitting % and 8 digs in win vs. Citrus on 9/26 and 19 kills, .393 hitting % and 23 digs in upset win over #5 Moorpark on 9/28. Justin Harrington, Football – defensive back, had two interceptions (total of 125 return yards), one of which he returned 98 yards for a touchdown in the 4th quarter of Saturday’s 41-7 win over Orange Coast College. He also had six solo tackles and one pass break-up (PBU). The Southern California Football Association (SCFA) named Renegade Justin Harrington as the National Division Defensive Player of the Week for his outstanding performance this last week. We are excited to announce the hiring of Noel Dalton as the head coach of both the men’s and women’s tennis programs and Austin Lee as his assistant coach. Both will begin in their duties pending KCCD board approval. At last weekends game, I spotted Nicky Damania preparing for the evaluation visit by studying the ISER from the stands of Memorial Stadium! How cool is that? I also found Jennifer Serratt, her daughter Grace Marden, and Giorgiono, a student working with Chief Counts in Public Safety. I was mentioning to Nicky Damania the story behind the BC President’s Banner that is raised during home games so the community could find the BC President if they wanted to. Kelly Chamberlain, wife of President Greg Chamberlain came up with this idea and sewed this magnificent banner. Nicky loved the story and immediately got his student photograher Diana to take some photos. The Bakersfield College Performing Arts Department is presenting two plays for the 34th Annual Kern Shakespeare Festival: Julius Caesar and Measure for Measure. The festival runs through October 13th with various dates for the two different performances. All performances begin at 7:30pm and take place in BC’s Edward Simonsen Outdoor Theatre. Tickets are available at vallitix.com. Julius Caesar has ascended to the highest echelon of the Roman Republic, but is getting a little too enamored of power? The lean and hungry Caius Cassius sure seems to think so, and with the help of one of Caesar’s closest allies, Marcus Brutus, he hatches a plot to end the reign of the would-be king. But once Caesar is gone, who will fill the power vacuum? Who will the people follow? Who will hold Rome together as mutiny and war engulf the republic? BC’s Strong Workforce supported recent renovations in FACE 11 to provide a space where we can do our part to meet the demand for a million more people to be trained in high demand, high skilled jobs with livable wages throughout California. The Student Employment Lab was established due to a need to provide our students additional career related support. Students and alumni have the ability to freely access employment resources, conduct web based job searches, and develop resumes. In addition, resources are available from donations that students can take freely from paper and pencils to hygiene products and other items. The Bakersfield College Student Employment Team is leading the way in bridging the gap between education and employment by sharing our model, tools and resources with other Community Colleges throughout California. Check out the pictures and mark your calendar for October 9th, when the new Student Employment Lab opens on the Panorama campus. Thank you Stephanie Baltazar for your commitment to our students! BC proudly hosted the Alpha Chapter of DKG in our Renegade Room for a local gathering. DKG – Leading Women Educators, Impacting Education Worldwide is an organization with a mission to promote professional and person growth of all women educators. The official website states the DKG woman educator is a potential leader, able to bring out the best in others, authentic, responsive to feedback, results oriented, adaptable, a conceptual thinker, and motivated to make a difference. Chef Suzanne introduced me to the culinary students who prepared the incredible meal for DKG. Here are some photos of our talented Renegades in action. Bakersfield College is proud to partner with The Bakersfield Chapter The Links, Incorporated to introduce middle school and high school students to programs in STEAM – Science, Technology, Engineering, Arts, and Math. On Saturday morning, dozens of students and their parents gathered at Emerson Middle School for the 2018-19 launch of the Links STEAM Academy, “Left Brain & Right Brain” which is designed to increase interest in educational pathways and careers in STEAM fields. Retired BC Professor, Odella Johnson, is the Links Co-Chair of Service to Youth and has led the partnership between BC and Links. Lesley Bonds, BC Director of Student Success & Equity, welcomed the students in their parents to introduce them to BC’s pathways in STEAM, our Bachelor of Science in Industrial Automation program, and our Completion Coaching Communities that have been intentionally designed to help students enter and stay on their pathways. Throughout the year, student participants in the academy will participate in field trips to the campus where they’ll have the opportunity to gain exposure to our faculty, state of the art Aera STEM Success Center, and even our Planetarium. Previous student participants have gone on to graduate with degrees in computer science, engineering, and biomedical engineering from universities like CSUB, UCLA, and even Johns Hopkins. Check out this highlight on KGET and be sure to check out the news this weekend for updates on the program. This is fun. Don Turney found this full page spread from the Bakersfield Californian, Sunday, December 12, 1976. The Renegades victorious at the Rose Bowl. Don Turney is #89. He was grinning ear-to-ear about this experience and was so proud…it was heartwarming. Bakersfield College hosted a Special Day of United Church Service church on Sunday, September 30, 2018, in the Indoor Theatre. Renegades and the BC Cheer team were also out in the community on Thursday evening supporting the St. Vincent de Paul fundraiser BBQ. It’s amazing to attend community events where the support of BC is strong. On Thursday evening, many long time friends of BC were alongside new ones who have a strong commitment to education. Working together, our community leaders are supporting a college going culture in Kern County. This particular event was held at the home of Ajay Anand to support Senator Andy Vidak. Dr. Brij Bambi gave an eloquent speech in his usual profound and clever style that was inspiring.